I know what your thinking. 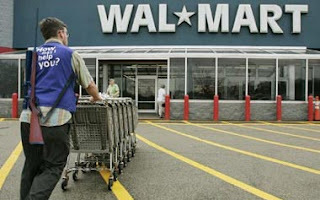 "What do shopping carts (or buggies, if your from the South) have to do with the coming Zombie apocalypse?" Others might be thinking, "What Zombie apocalypse?" My answer to this is: "What? have you been living under a rock? Come on, we all know it's on the way." Okay. Enough of that. I don't want you to think I'm crazy. 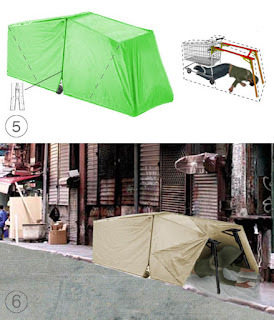 But, when the Zombie apocalypse does arrive, you'll realize I'm crazy like a fox because I'll be prepared with this valuable shopping cart survival knowledge. The shopping cart had a very humble beginning way back in 1937. when Sylvan Goldman, owner of the Piggly Wiggly supermarket chain, was thinking of ways to get his customers to buy more groceries. He had an epiphany while looking at a folding wooden chair and, shazam, the first shopping cart was invented. The shopping cart did not catch on right away. Women did not like it because it reminded them of a baby carriage. Men simply would not use it because it made them feel, "effeminate." It wasn't until the mid-1940's that the shopping cart caught on. 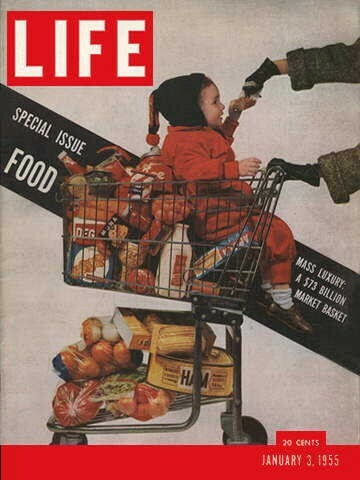 And, by the mid-1950's people were already stealing them and finding ways to strap their children inside of them while they shopped. I feel sorry for Europeans because, when the Zombie apocalypse comes, they'll all be at a disadvantage with their puny free-wheeling carts. Especially if those desiring the use of a cart must leave a deposit. I mean, who's gonna have loose change rattling around in their pocket during the Zombie apocalypse? That's where we Americans are going to have the advantage. Our shopping carts are huge and, even though most have an engineered weight limit of one hundred-fifty pounds, I've seen carts withstand much more then that at my local Wal-Mart store. And then there's the motorized shopping carts. You just know those things can withstand some serious weight. I've seen people riding around on those, I swear were exceeding the structural limitations of the two-foot thick cement floor. Again, I know what your thinking. I'm tellin' ya'. I'm like a freakin' fortune teller! but seriously, You're probably wondering how, exactly, the common shopping cart is going to ensure your survival during the Zombie apocalypse. 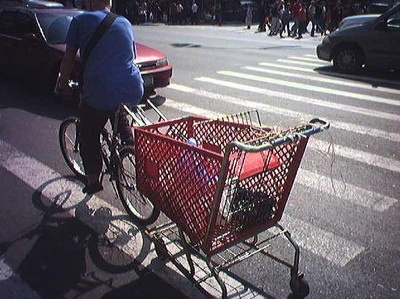 I believe the shopping cart will be indispensable during the coming invasion. 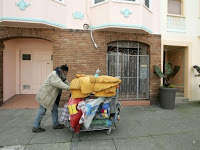 First and foremost, when Zombies have invaded your home, and you are forced to flee into urbania to live on the streets, the shopping cart can carry most of your worldly belongings. 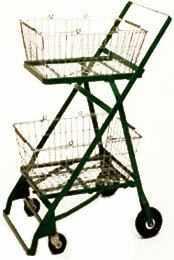 With just a few simple modifications, your cart can become a fast means of transportation. How fast you say? As fast as you can peddle. Be cautioned, this invention still has a few bugs, namely turning or steering of any kind. With a simple search on the Internet and a few items taken from, the now abandoned, hardware store, your shopping cart can also become a means of shelter and warmth. The picture on the right shows just how easy it is to turn your shopping cart into a luxury abode, able to house all your belongings; and maybe a family of four, as long as you huddle inside real tight. Just remember, Zombies are stupid, and if you hide inside your enclosed shopping cart for the night, they probably will not know you are there. Don't hold me to that last statement as it has not been thoroughly tested using real Zombies at this time. And that's not all. Can't find a cooking grid to cook your survival food? Just tip your shopping cart over and, viola, you have a grill. 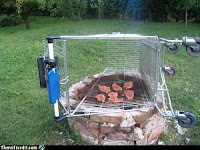 Caution: Picture shows shopping cart cooking use, pre-Zombie apocalypse. Do not cook meat in the open after the Zombie apocalypse because everyone knows that raw meat, and especially the smell of cooking brains, attracts Zombies. What's the point of this post, you might ask? Well, first and foremost, I hope you decide, through this post, to get your shopping cart now. They are readily available and easy to throw into the back of your truck. Don't have a truck? That's okay. 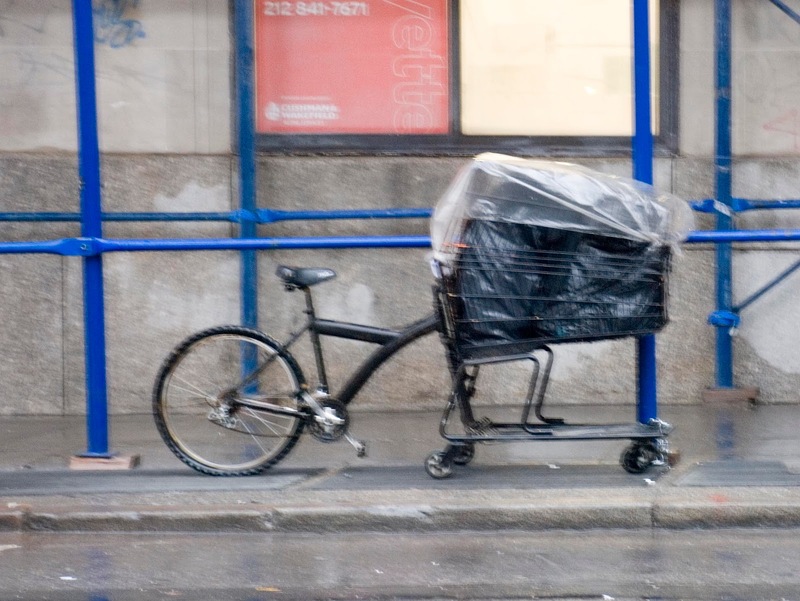 The sturdy metal or plastic shopping cart is easily tied to a car, or even a bicycle, for transport back to your Zombie-proof lair. Oh, and one more thing. All the aforementioned advice is for those fortunate enough to live in an urban area during the coming Zombie apocalypse. Mostly, because shopping carts don't roll too good on the dirt. Those of us unfortunate enough to live in suburbia, or even the country, will have to rely on our stockpile of guns, four-wheel trucks, and our seemingly endless supply of canned boiled peanuts. Good luck urbanites. I hope you're prepared. I know I am. For some reason, all this makes sense. I think I'll prepare at the local Sav Mart . .
lol I loved this post. 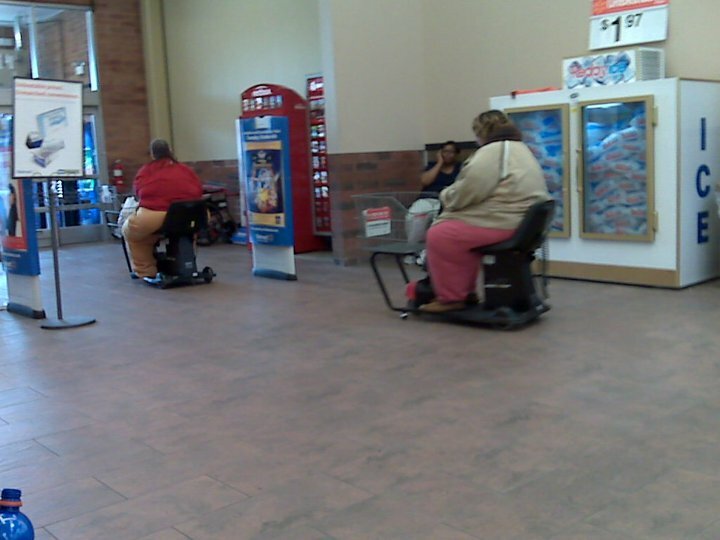 I must go out and get me a shopping cart. I really hate zombies. Loving this article! Happy Prepping!